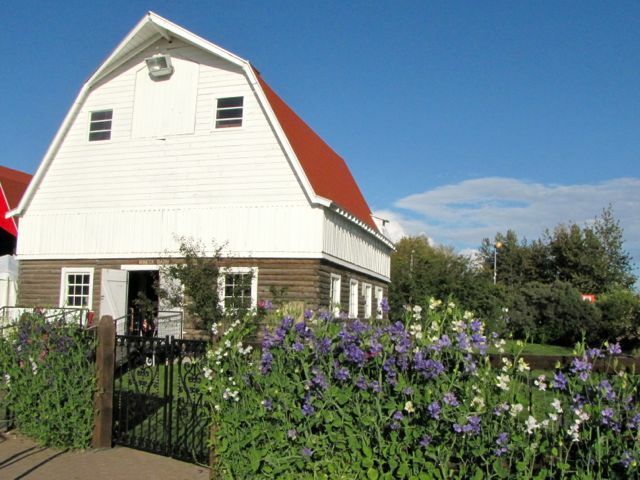 Northern Light Media was at the Alaska State Fair again in August and September, 2014, once again in the beautiful Wineck Colony Barn! 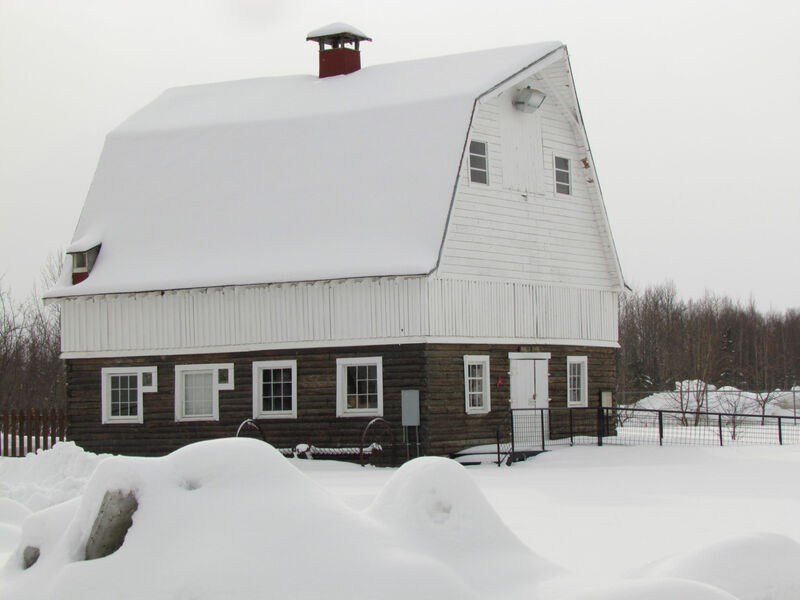 The Wineck barn, as lovely as ever! 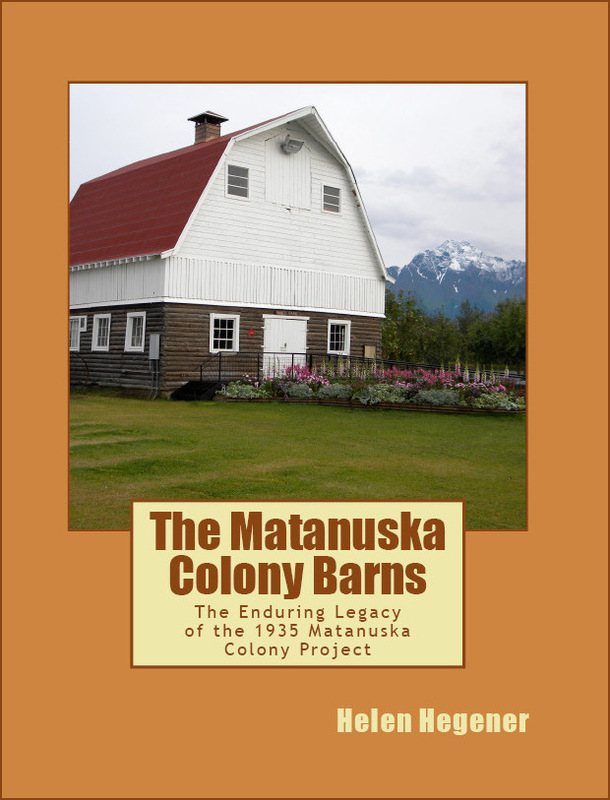 This year Northern Light Media had two additional books for sale, sharing the history behind the 1935 Matanuska Colony. 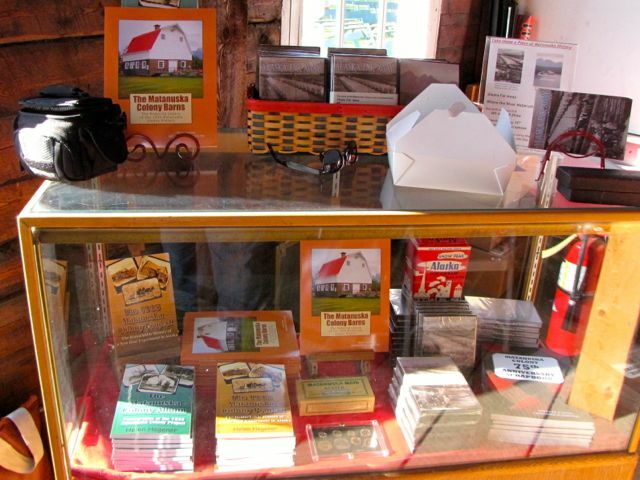 Interior and exterior details of the barns, and tools such as a hay hook, a pulley for lifting bales and feed sacks into the hayloft, a lantern and more. 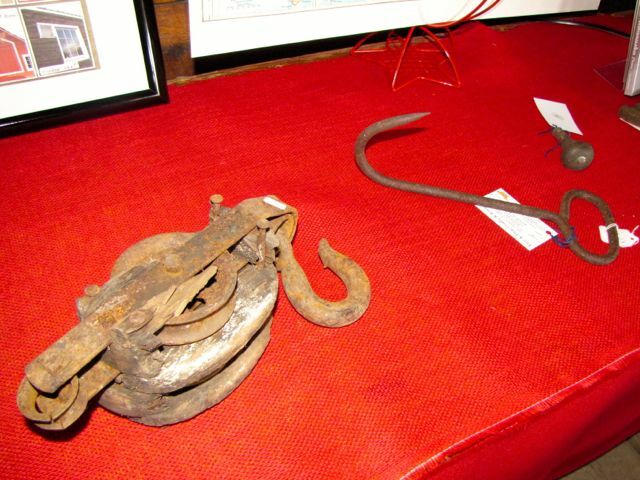 A closer look at the old hay hook and the wooden pulley. 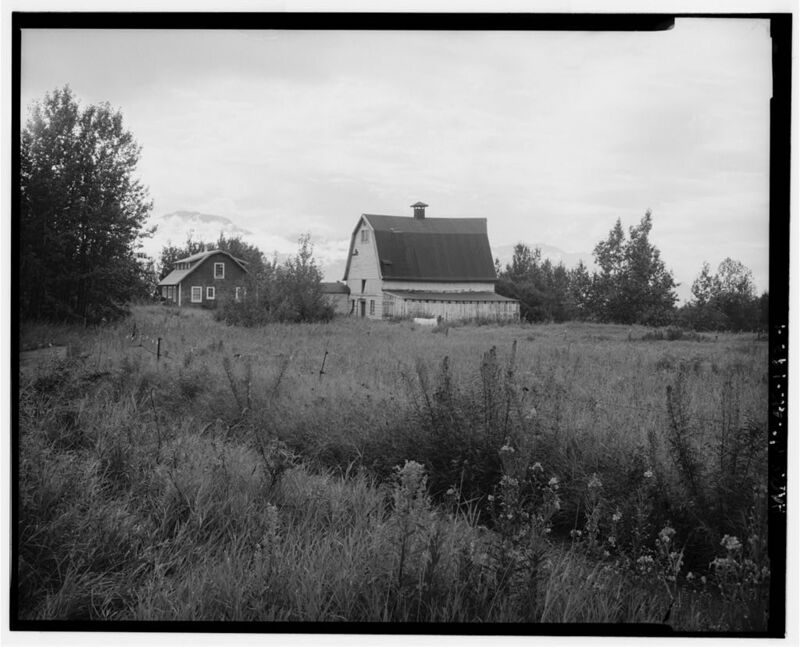 Historic photos of the Wineck tract with the barn in its original location. 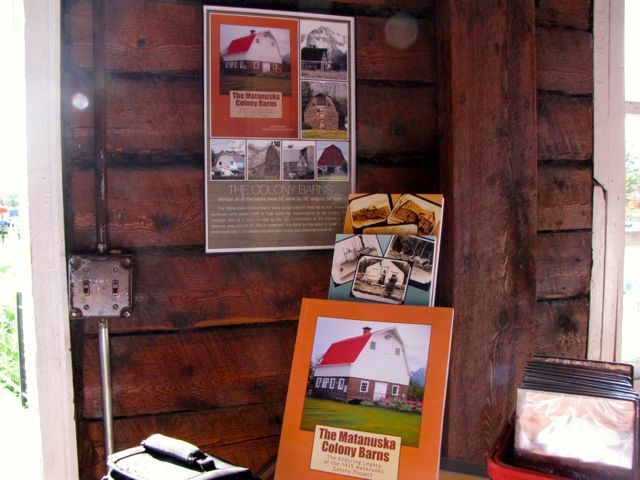 A poster for the Colony Barns book, and all three books on display. 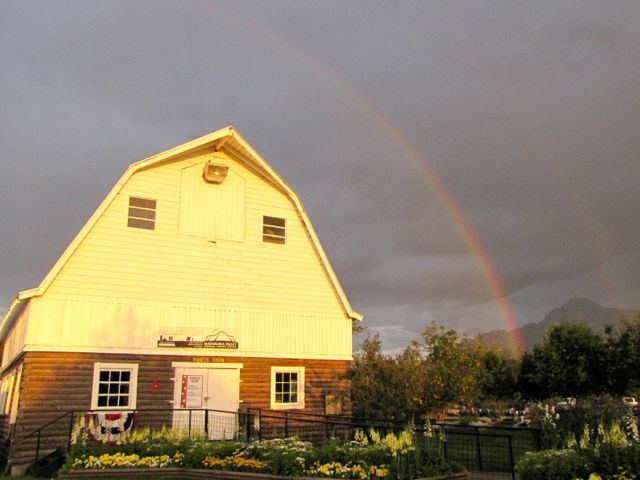 A rainbow over the Wineck barn – what a lovely way to end a day at the Fair! 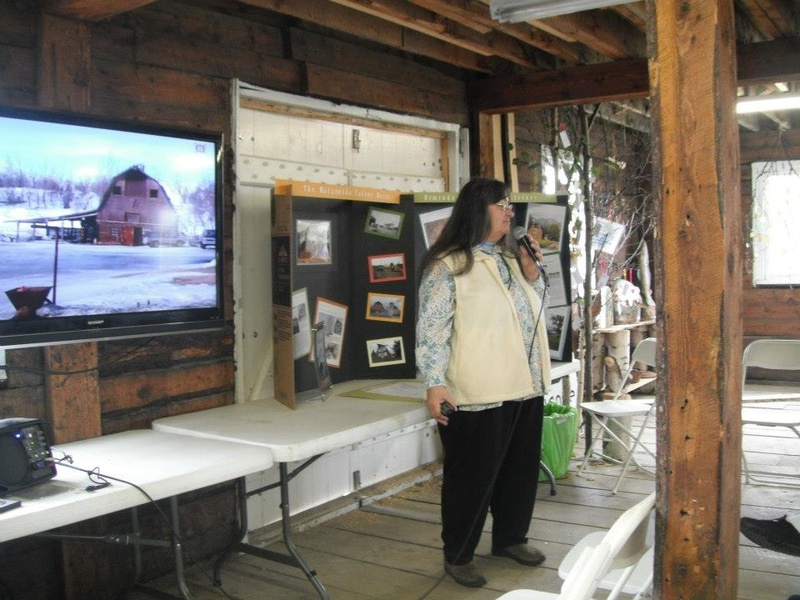 Author Helen Hegener gave two talks and did a slide presentation on the Matanuska Colony Barns at the Wineck Barn at the Alaska State Fair on September 1st, at the invitation of Joanie Juster, whose documentary films Alaska Far Away and Where the River Matanuska Flows have been showing throughout the Fair. 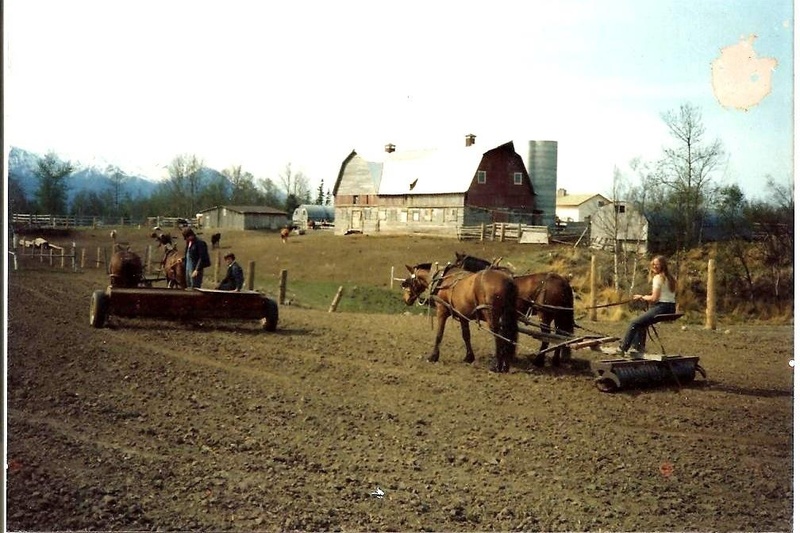 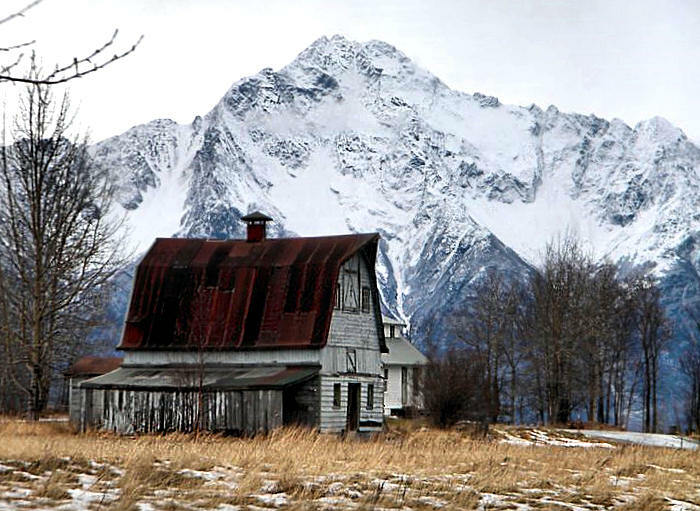 The talks highlighted the history of the Matanuska Colony and how the barns were an integral part of the farmstead each of the Colonist families were tasked with building on their parcel of land. 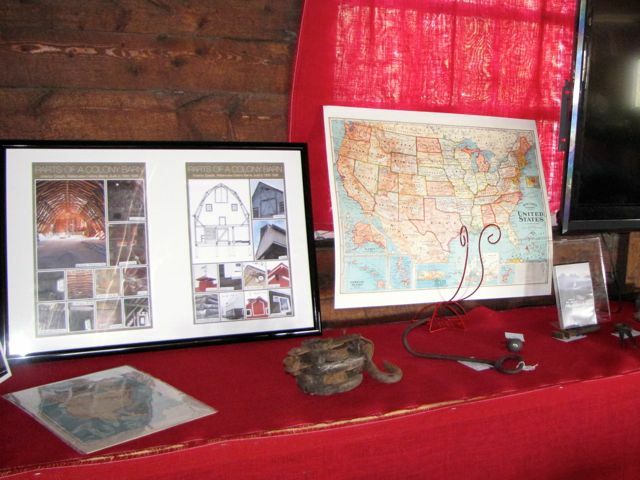 The films, slideshow, and presentations brought many people into the Wineck Barn to talk about the old Colony barns, including Mr. Earl Wineck, whose father oversaw the building of not only the Wineck Barn in 1936, but many other barns constructed at the same time near their home at Bodenburg Butte. 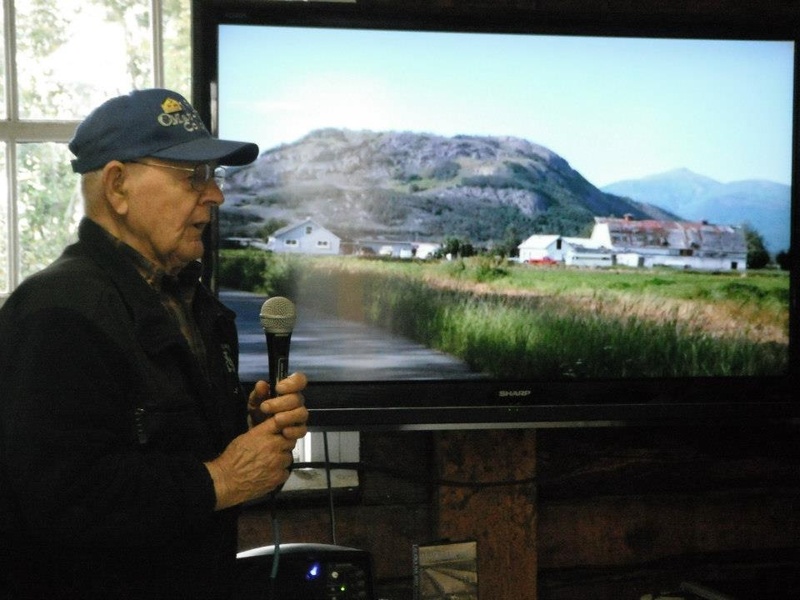 Mr. Wineck, who came to Alaska with his family when he was only eight years old, graciously spoke at length about his father’s contributions, and what it was like growing up in the Matanuska Colony. 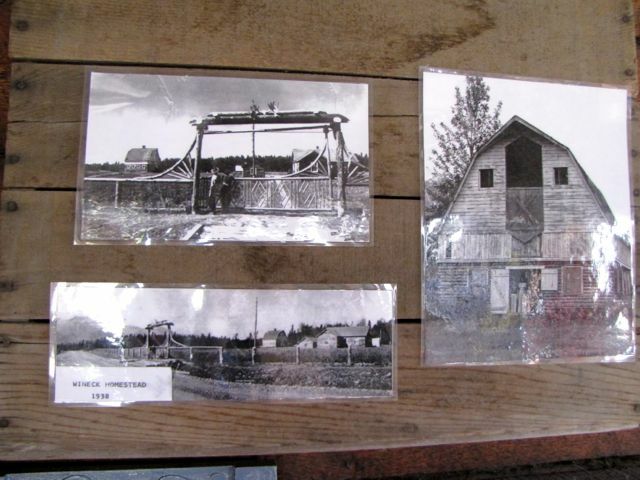 He explained many details of the barns such as the construction, and the ventilation system, and he explained how the Wineck barn was moved to its present location at the State Fair after his father donated it in 1975. 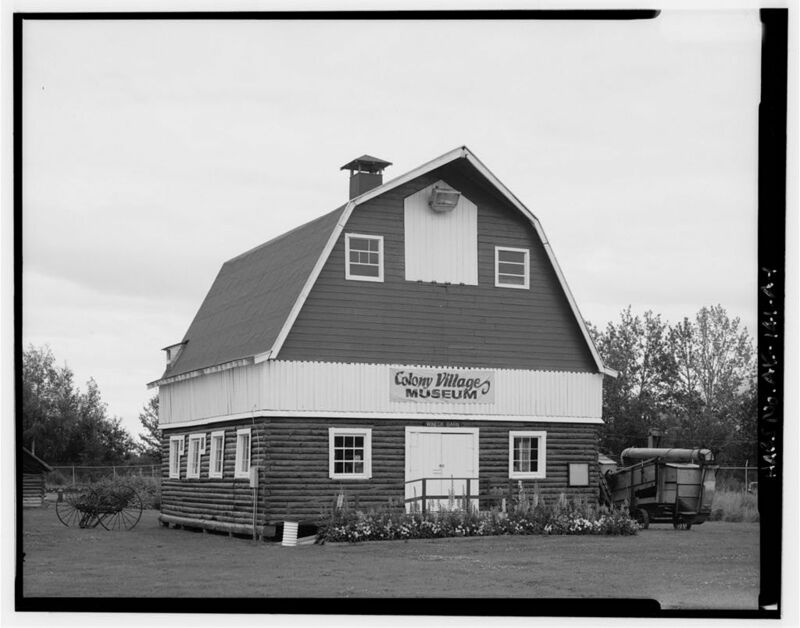 The big structure was sawn in half and trucked to the fairgrounds in four pieces, and once it was in place at its current location, a ceremonial dedication was held and August 28, 1977 was declared “Ed Wineck Day” at the Alaska State Fair. 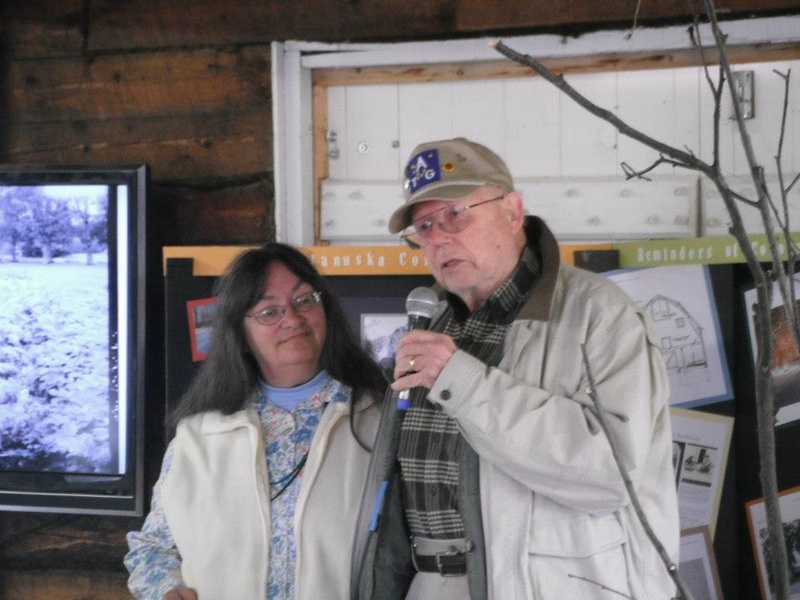 Another surprise guest speaker was Mr. Wayne Bouwens, whose family lived on tract number 53, just south of the present-day fairgrounds. 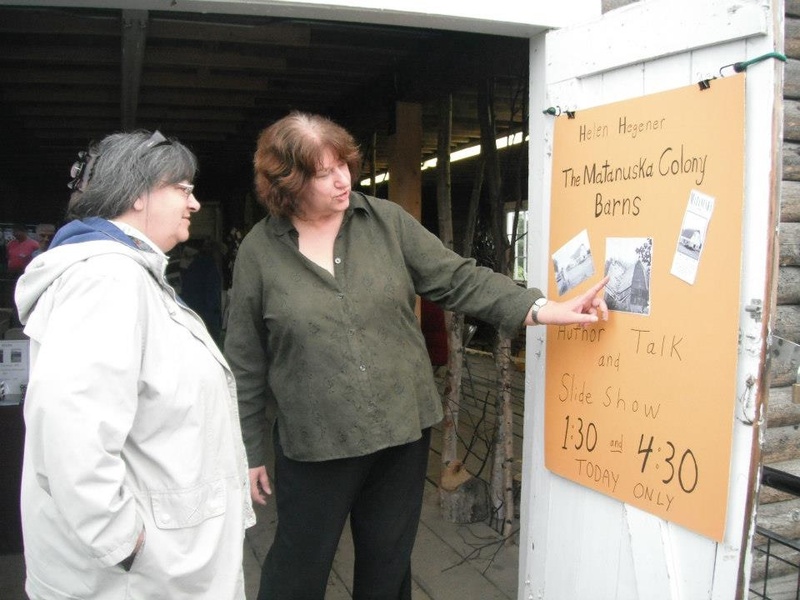 A well-known local historian, Mr. Bouwens also shared knowledge gained in growing up amongst the Colony barns, explaining how the barns were utilized and telling many interesting stories about life in the Matanuska Colony. 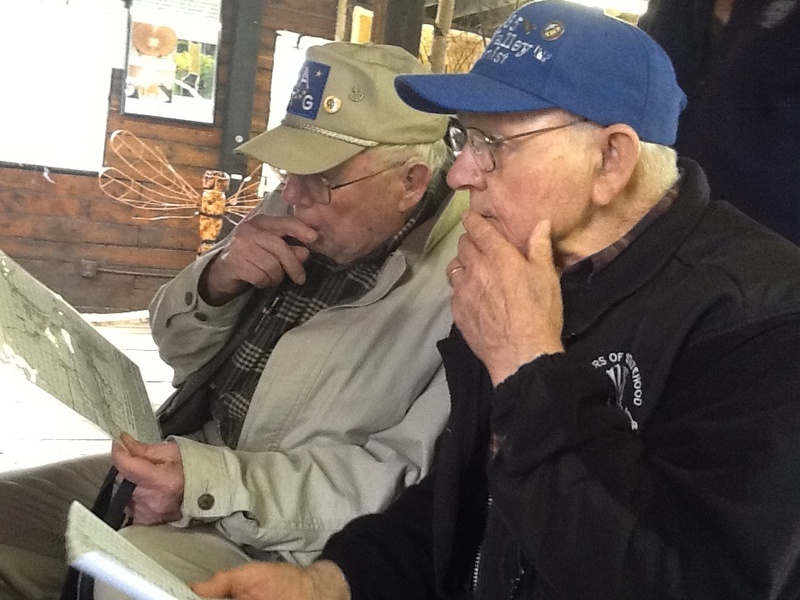 Having Earl Wineck and Wayne Bouwens join the presentation was a delightful highlight of the afternoon, and between the two talks about the barns the two men spent over an hour poring over and identifying photos of barns from the Colony project and determining which family tracts they’d been built upon in 1936.